When It comes to hunting, we Americans have the greatest do-it-yourselfopportunities on the planet. Across much of our modern world attempting to outfit yourself and hunt on your own varies from wildly impractical to impossible, often rendered so by game laws, local guide requirements, access, and restrictions on firearms (and sometimes archery tackle) importation. Taking on the planning and execution of a successful DIY hunt in the wilderness is not for everyone. More research, planning, know-how, and equipment are needed than just stepping off a plane into the waiting arms of an outfitter. But adventure awaits and success is sweeter. Win or lose, there’s much satisfaction in the effort. Here are a five great opportunities worth the time and effort. When I was a kid, hunting elk seemed the ultimate dream. 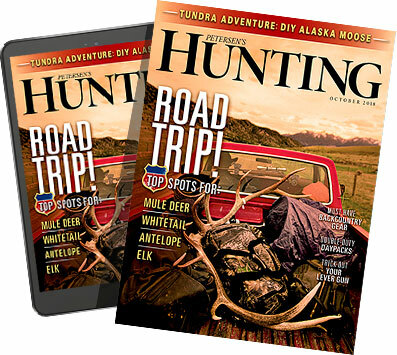 Some of the older guys at the trap club headed west every fall, but the truth is while I knew guys who hunted elk, I don’t recall anybody who actually ever shot one. During my lifetime our elk herds have exploded. There are a lot more elk throughout the Rocky Mountain West, and elk hunting is better and with greater odds of success. Mind you, it isn’t easy. 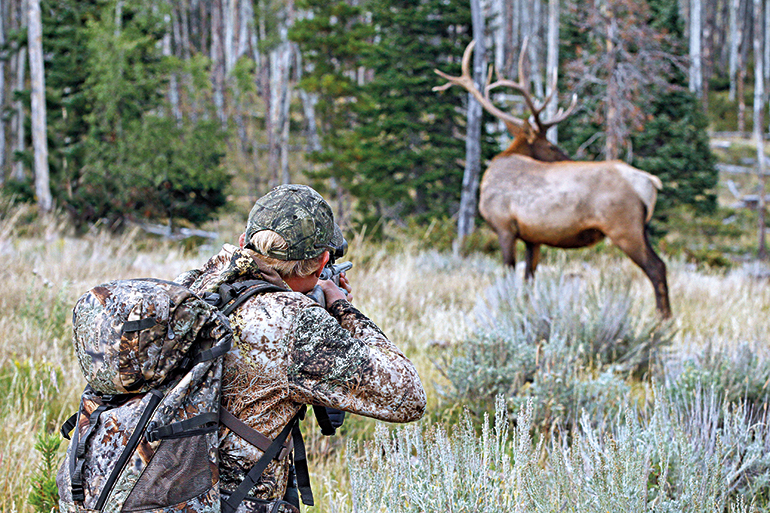 Not everyone is going to get an elk—and for sure only a handful of folks will get a six-point bull. 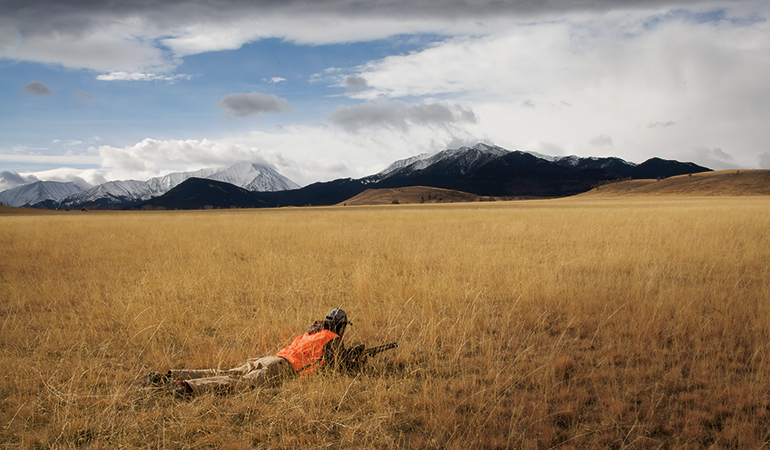 Populations are high, and there are millions of acres of public land where you can hunt elk (30 million acres in Montana alone). Again, it’s a matter of research. You have to know where you’re going, where you can camp, and how far you’ll have to hike to get into likely country. This requires honest self-evaluation, but even more important is this: How far are you capable of packing out your elk? Figure a minimum of four trips for a boned-out bull—and probably more like five or six. Bowhunting for elk is simply awesome. Most rifle seasons, especially on public land, are a bit later, as the rut is winding down (or finished), so early bow seasons have the advantage of catching elk at their most vulnerable. Depending on your luck, this makes up a bit for the handicap in equipment, but even if it doesn’t, the chance to hear and hunt bugling elk is one of the best experiences this continent offers. Second, late September and early October is a marvelous time to be in elk country, when mornings are crisp and the leaves are starting to turn. Sure, you want an elk, but it’s such a glorious time to be in the high country that punching your tag isn’t quite as important. By the way, on public land any DIY elk is a worthy trophy. Don’t overlook cow tags. The meat is awesome, and a fat cow is a whole lot easier to pack than a big, stinky bull. There are no bad places to hunt elk, especially if you can go at that magic time, but my recommendation is Colorado. The elk herds are at an all-time high, the Colorado Rockies are matchless, and unlike most western states, there are plenty of over-the-counter tags. Just do your research—lots of it. Maybe this will throw you a curve. Most big-game seasons are in the fall, but spring bear season is an awesome experience. All too many jurisdictions have curtailed spring bear seasons, but it is the best time to go bear hunting, especially on a DIY basis. Black bears are most active and most reliable just out of hibernation, hungry and drawn to new green. What you need is big country where you can find vantage points and glass. Use the long late spring daylight and concentrate on the evenings, when bears are most active. You’ll glass a lot of black stumps, but when you see a bear you’ll know the difference from the shine and texture. Idaho and Montana are probably the best options, combining plenty of bears, lots of public land, and long spring seasons. Spring is a beautiful time to be in the mountains. You won’t have much competition. Success depends a lot on timing. A couple of weeks after the bears come out of hibernation is ideal, but that depends on the winter, so it’s also a matter of how much time you’re able to put in. The sika deer is a small, three-antlered Asian deer of the Cervus (round-antlered deer) genus, thus related to our elk. I’m not really into non-native species, but the sika deer, released accidentally, have ranged freely in eastern Maryland since 1916. There are thought to be at least 10,000 of them, but who knows how many there are in those deep swamps? Dorchester County has the largest population, and while much habitat is private, there is plenty of public land, including the famous Blackwater National Wildlife Refuge. Sika deer are hunted only during whitetail season, on a big-game license, but here’s the catch: Maryland’s rifle season falls after the sika rut is concluded. This is another ideal archery hunt because the October archery season coincides with the sika rut. It’s an amazing experience, with deer screaming all around you in the swamp. Trust me, they don’t sound like small deer! It isn’t easy. You’ll pack your stand deep into the swamp, looking for sign and listening for the roar of a sika stag. Overall success is not high. I used a crossbow and got a shot on my last morning, but honestly, at that point it truly didn’t matter. Just hearing their mating challenges echo through the swamps is one of my very best North American experiences. More than a half-century ago, Dad and I drove to Wyoming knowing almost nothing except we had pronghorn tags in our pockets. In those days we knocked on doors until we found a rancher who would let us hunt. Although much good pronghorn country lies on large private ranches, there is almost always a grid of BLM and other public land where you can help yourself. The Internet is a marvelous tool, and there are fantastic mapping apps, such as onX, that will help keep you legal. The pronghorn remains one of my favorite hunts, and despite rumors, it may be our continent’s best wild meat. Dress it fast, cool it down quick, and keep the sage-laden hair off the meat! I haven’t always been picky, but honestly, I can’t recall an unsuccessful pronghorn hunt. It’s a perfect spot-and-stalk hunt; glass from afar and read the ground. Usually, it isn’t quite as flat as it looks. And bring kneepads and gloves for crawling through the little cacti that dot the prairie. Excepting a few landowner tags here and there, most pronghorn tags are by drawing. Some areas known for exceptional quality are tough draws, but much of eastern Wyoming, eastern Montana, and eastern Colorado are quite easy to draw. A week is plenty but split your time in half: half before the season for scouting and the remainder from opening day onward.